I still have a couple of these gorgeous clementines in my crisper. I suppose beautiful citrus fruit is one of the perks of winter. Something to countermand ice storms and sudden thaws, fallen tree limbs, and a roof leak caused by an ice dam in the eaves trough. 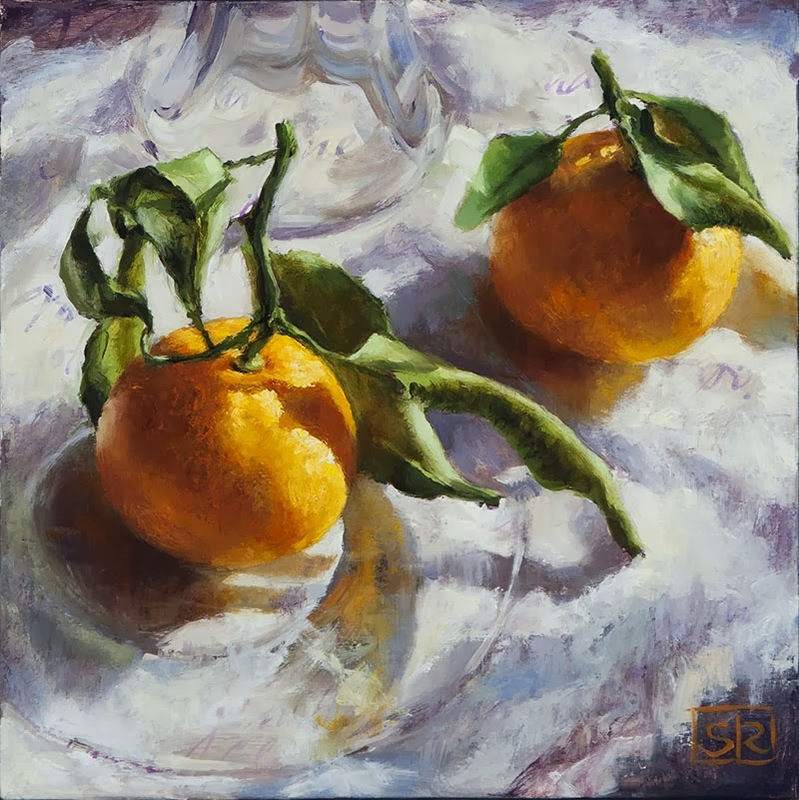 Two clementines, oil on panel, 8" x 8"
This painting was my Christmas card image for 2013.